This weekend I escaped from London. Or at least it felt like escaping, only it wasn’t actually achieved by leaving London at all, just venturing a few miles from home. 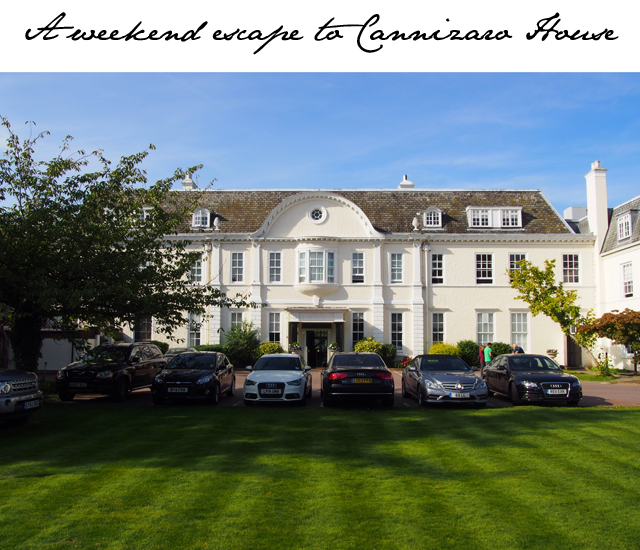 This weekend I discovered Cannizaro House in Wimbledon. 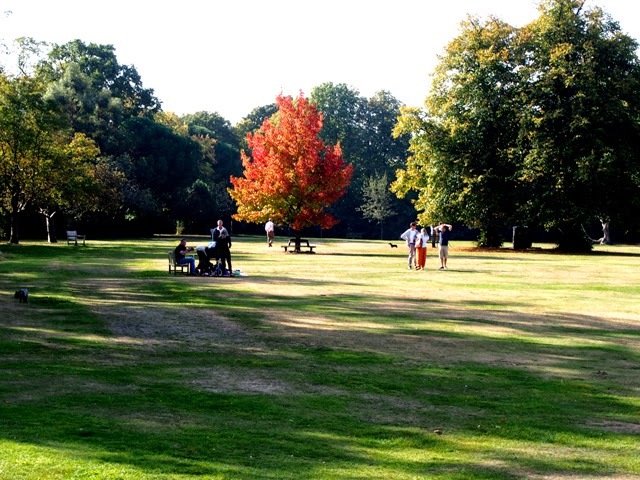 I was introduced to Cannizaro House by a friend who thought it was the perfect recipe for stress relief. It doesn’t involve a lot of travel, it's surrounded by nature and has just won several awards for their outstanding cuisine. So, I jumped in an Uber on Saturday afternoon, threw my overflowing Louis Vuitton Neverfull in the seat beside me and set off on the six mile journey from my house to Wimbledon. It’s amazing how even leaving home for one night requires I pack the whole kit and caboodle. Everything from hairdryers to choices in footwear seem to be essentials these days. I’m not sure where the packing diva turn happened in my life, but I am well and truly a madame when it comes to my “needs” when leaving home digs these days. Let’s just put it this way – I don’t think camping in the rough will be my next travel review. I digress. 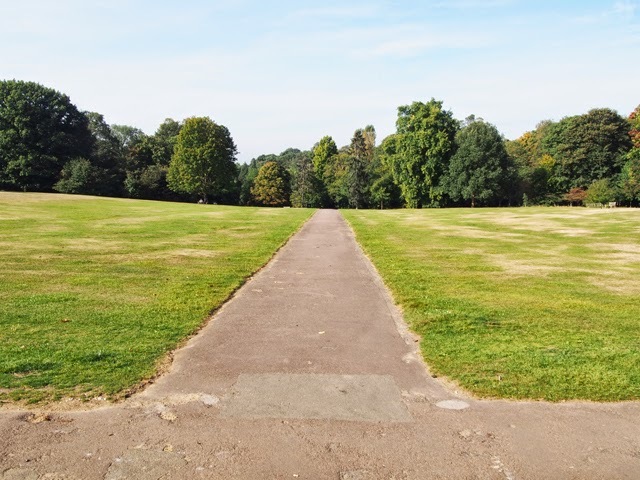 It turned out that the drive to Cannizaro House would be the most stressful moment of my 24 hour jaunt. There was solid traffic all the way from my house to Wimbledon and I ended up sitting in Putney, not moving , for an hour and a half. You could just picture my blood pressure reading – off the charts. In all, it took me 95 minutes to drive six miles in London. Yes, London is quickly beginning to rival LA when it comes to traffic. It’s just a way of life and the price you pay, I suppose. However, driving into Cannizaro House did prove to be an immediate stress reliever. The beautiful white house was a beacon of hope and having no queue at reception was an immediate sign, for me at least, that all was about to be alright. I checked into suite 214 and found myself stepping back in time as I opened the door to the main room. 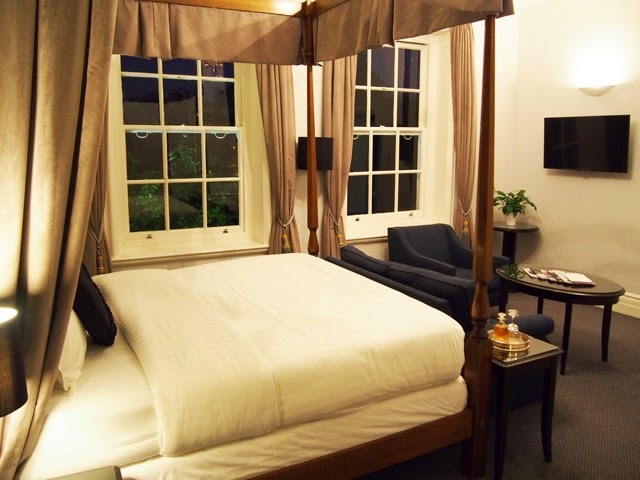 There in front of me was a beautiful four poster bed, a simple sitting area laid out between the sleeping space and the bathroom, and a quite corner of the room set aside as a work area. Only, it should be mentioned that no work was done while in residence. That wasn’t actually a choice. Be warned that the wifi is VERY unreliable at Cannizaro and mobile phone service is minimal as well. On any other weekend, at any other hotel, I may have left right then and there. I need wifi, as you all know. But on this weekend I took it as a sign that I really was meant to be here to shut off and relax. I went with the flow and, not surprisingly, found myself relaxing a lot more. 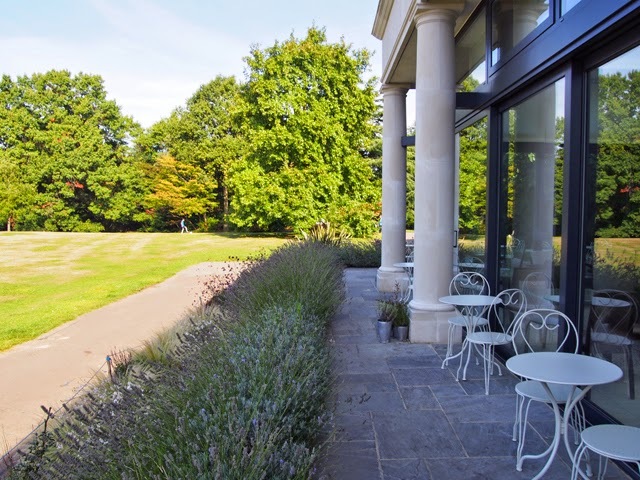 After checking in I popped down for a spot of afternoon tea – a very popular pastime at Cannizaro House. The room was full of jolly groups enjoying tea, cakes and tiny finger sandwiches. The laughter was infectious in the space and I found myself smiling as I read my book and indulged in scones smothered in clotted cream and fresh strawberry jam. This is definitely a popular venue for those wishing to take tea in a civilized, charming and off-the-beaten-track sort of place atmosphere. Post-Tea, I took a bit of a snooze in the room. I had a 7:30 drinks reservation in The Orangery, followed by a 9pm dinner reservation in the restaurant, which has just been awarded three rosettes from AA, the next best thing to a Michelin Star. I was looking forward to tasting the delights of a restaurant that had recently received a lot of attention. More details on all of this to come. Anyway, I found myself snoozing a little quicker than usual - again, I blame the lack of contact with the outside world. I've come to believe Cannizaro do this on purpose as perhaps they know it's the only way you'll truly enjoy the delights of the hotel - and of those there are plenty. If I hadn't fallen asleep, I had plans to explore the gardens outside the hotel. If you step outside the back entrance, you'll find yourself in another world entirely - one filled with greenery and families frolicking. 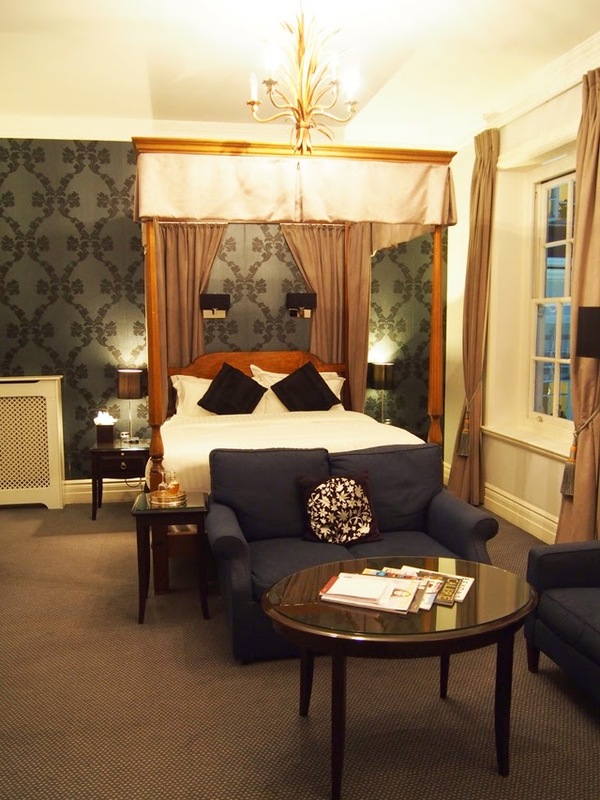 I've been told there is also some fabulous shopping nearby in Wimbledon Village, and of course the hotel is not too far from the famous Wimbledon Tennis Club. Sadly, it's not July so taking in a tournament featuring Roger Federer is out of the question at his point. I did, naturally, manage to snap a few pics of my 24 hours at Cannizaro. It was truly beautiful and perfectly timed for street relief. 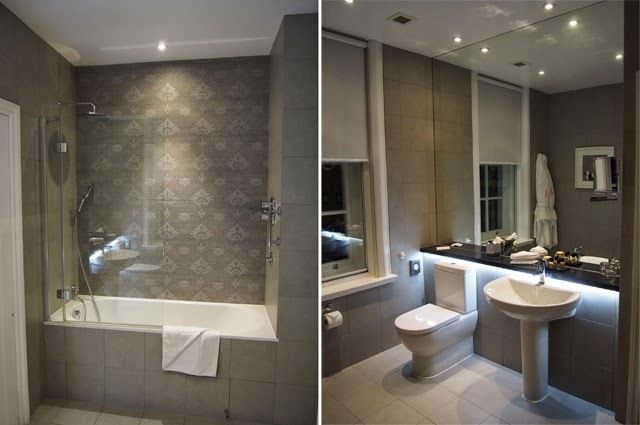 I'll be talking more about the food later, but for now, here’s a look at the beauty of Cannizaro House in Wimbledon, London. Definitely a step out of the rat race and a step into another time entirely. 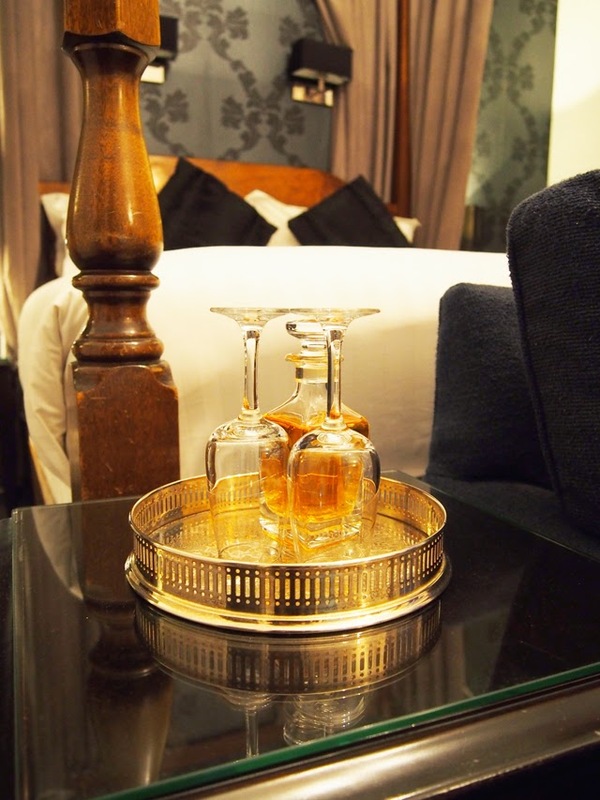 Each room comes complete with a decanter of white port for a little something special before shut-eye. 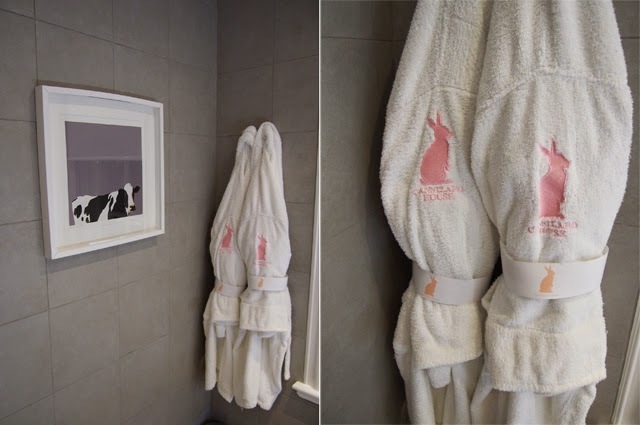 The Cannizano House robes featured their logo - a beautiful pink bunny! Obviously, I'm getting into the swing of things with relaxing... and trying on the bunny robe! 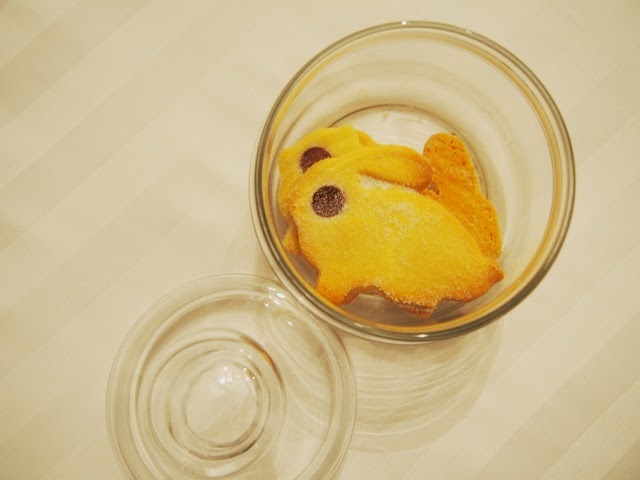 In the evening, the turn down staff fill your room with delicious bunny shaped and sugar coated biscuits. Heaven. Fashion Foie Gras was a guest at Cannizaro House for one night.